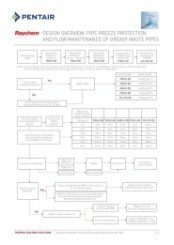 The self-regulating heating cable range, combined with pipe insulation, prevent water pipes, fire mains, sprinklers from freezing and grease waste lines from clogging up. Developed specifically for use within commercial and residential buildings, XL-Trace's Low Smoke Zero Halogen materials ensure it is the safest solution for modern building design. For quick and easy installation, all XL-Trace cables are designed for use with the RayClic fast connection device. The cables are warranted under the Raychem Extended Warranty Program providing 10 years warranty for registered installations. 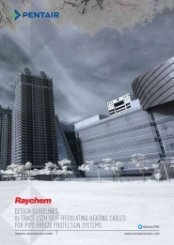 Additional warranties apply when installed by a Raychem Certified Pro.